Hear With You Mackay provides a supportive peer-based environment for people managing hearing loss, as well as their family and friends. 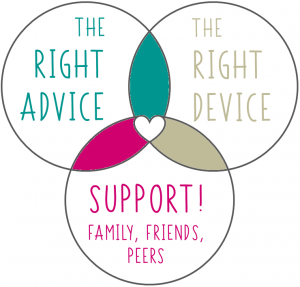 The support group is primarily aimed at people managing hearing loss with hearing devices (such as hearing aids, bone conduction implants or cochlear implants) and their family and friends. However people with hearing impairment of any type, whether assisted by a hearing device or not, may find benefit in the group and are more than welcome to participate. Although the support group is a proud initiative of Mackay Hearing, participation is open to people using the services of any hearing clinic. Professional guidance and hearing devices provide an excellent foundation for treatment – but they can only help so much. Realizing that you are not alone – Unless you are close to someone who has acted on their hearing loss, it can be easy to feel alone. However, hearing loss is common (around 1 in 6 Australians affected) and with modern hearing aids more discreet than ever, the number of people out there managing hearing loss is probably much higher than you think. By coming along to HWY meetings, you will realise that you’re not alone and that there are others in our local community that deal with similar, if not the same, challenges. Participating in our support group can promote a sense of belonging, pride and control. Sharing tips and tricks – HWY participants often share practical tips on how they hear or communicate better, respond to or manage certain situations and get the most out of their hearing devices. Maybe you have some tips and tricks of your own which, by sharing them, will help others and make you feel great. Sharing information and ideas can help you adjust to and manage hearing loss quicker, and more effectively. HWY participants appreciate being able to talk openly without fear of being judged or misunderstood. Form close new bonds – New friendships between individuals can grow from the camaraderie of the support group. People who understand each other as a result of sharing unique challenges can build strong bonds. Fellow group members can understand your experiences better than your existing friends and even your family! New friendships will enhance your existing support networks. Expertise on hand – Each meeting is run by Jodie Miles and Josephine Murphy from Mackay Hearing. Jodie is Mackay Hearing’s experienced Principal Audiologist and Director and Josephine is a Senior Client Support Consultant who manages her own hearing loss. In addition, experts presenting on specific topics attend meetings from time to time. No cost and no obligations – Attendance at Hear With Meetings is completely free. There is no formal application process to join the group and you don’t have to be a Mackay Hearing client to participate. Come to a single meeting, or as many as you like. Hear With You Mackay meet at 10am on the second Monday of every month (excpet January) at Souths Leagues Club. No RSVP is required to attend the meetings – if you can make it, just turn up! Attendance is free and complimentary tea, coffee and biscuits are provided. Meetings range from informal social catch-ups, to more formal information sessions with expert guest speakers. 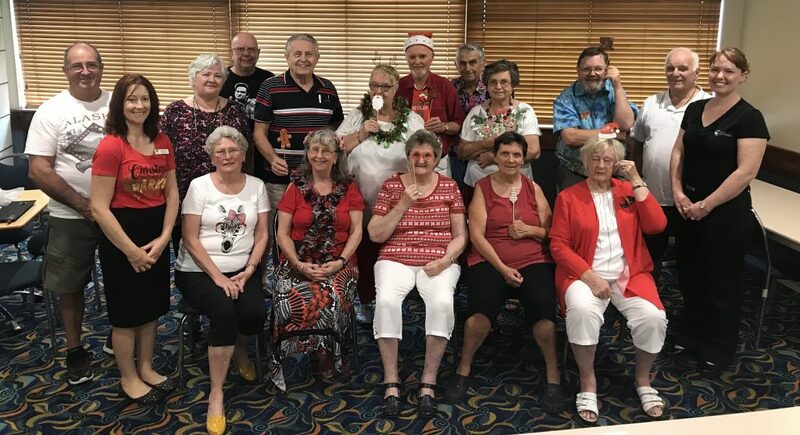 Attendees at the Hear With You Mackay, December 2018 meeting. If you would like further information on Hear With You Mackay, please check out the HWY Facebook Page, speak with Mackay Hearing’s friendly local staff directly on (07) 4952 4649 or email us at listening@mackayhearing.com.au.